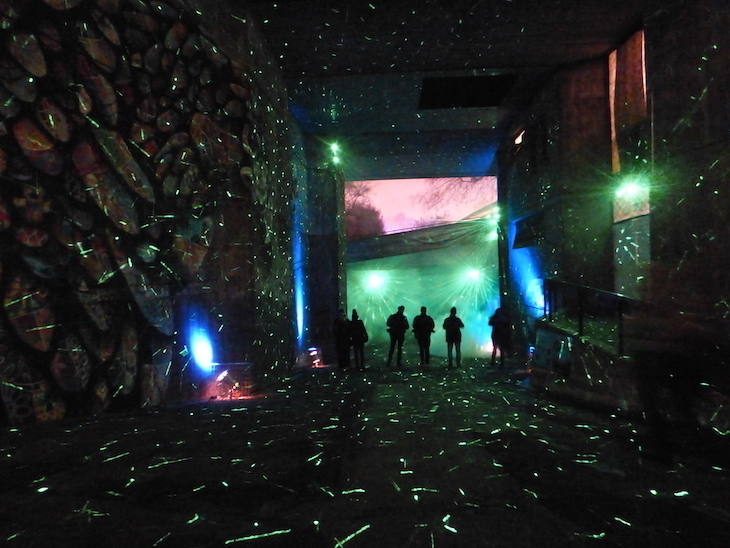 A million lights — ONE MILLION! 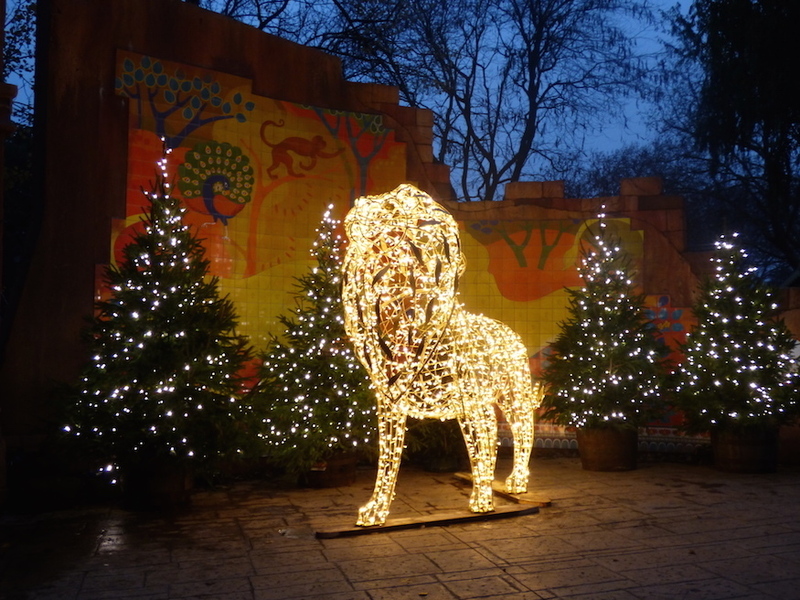 — plus three illuminated tunnels and larger-than-lifesize animal lanterns have been unveiled at London Zoo. 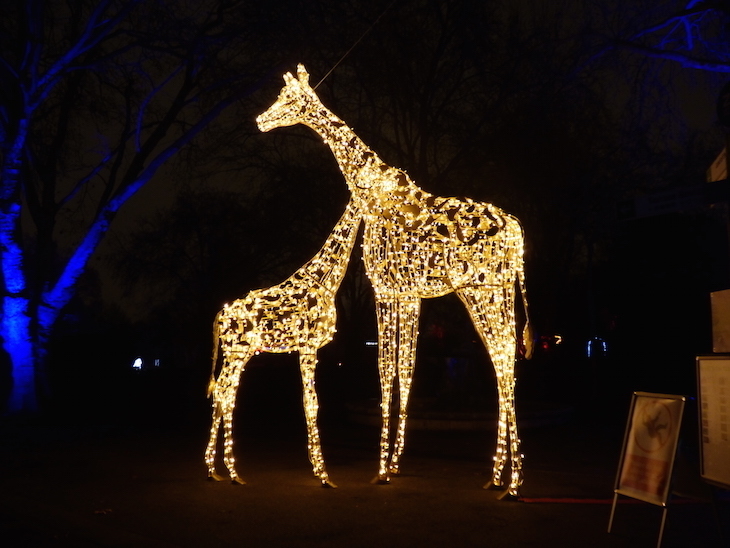 It's the first year for Christmas At London Zoo, a dazzling animal-themed lights festival from the company behind Christmas At Kew. 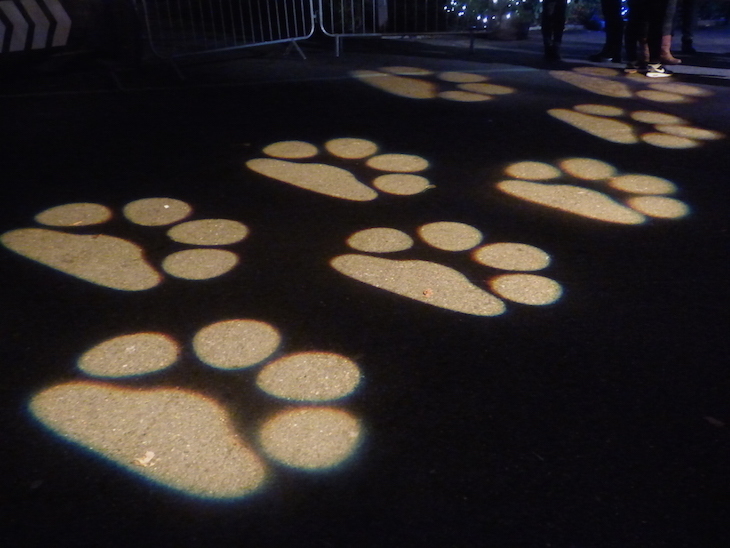 The mile-long trail winds through the Regent's Park zoo after dark, following in the (illuminated) footsteps of some of its residents. The real animals are tucked up in bed, but their illuminated stand-ins are spectacular — and they stay still for long enough for you to get a decent photo, too. 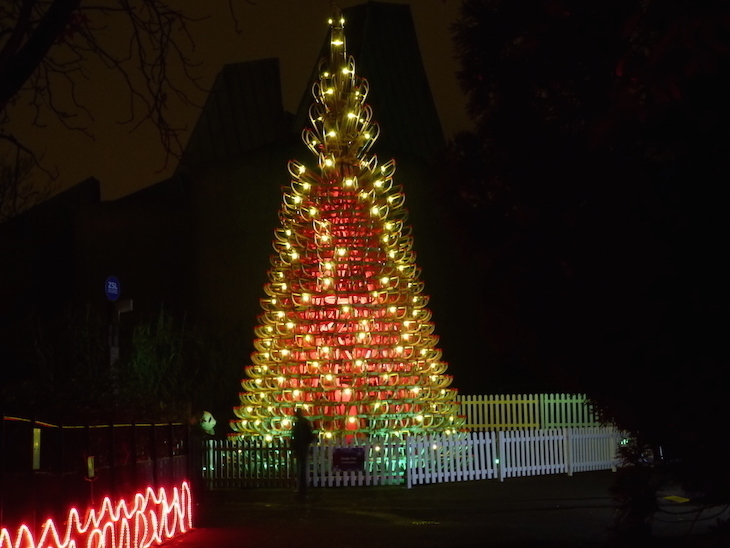 A towering Christmas tree made of sledges stands guard over the old elephant house — and if the tree looks familiar, that's because it was on display at Christmas At Kew last year. 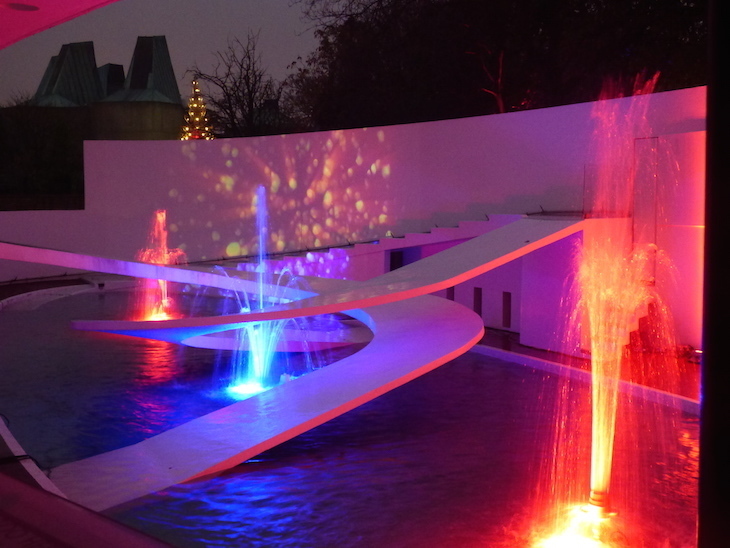 Some of the zoo's listed buildings are illuminated too, including the Lubetkin Penguin Pool — no longer home to any animals but hosting a dancing fountain display, choreographed to Christmas tunes. 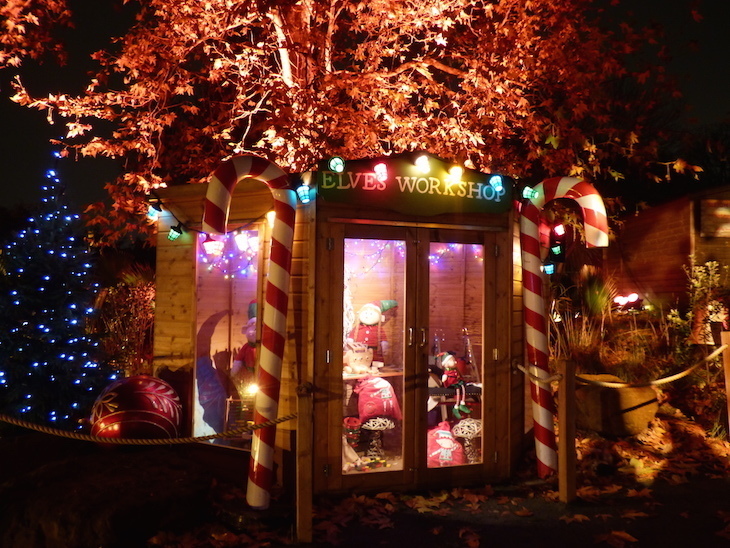 Kids will love peering into the elves' workshop and North Pole post office — and if you time it right, you might get a glimpse of the man himself on stage as he pops into the zoo to collect his reindeer. The zoo gift shop is open throughout the event, ideal for a bit of Christmas shopping for the animal lovers in your life. The central courtyard hosts food and drink stalls, a helter-skelter and a carousel. 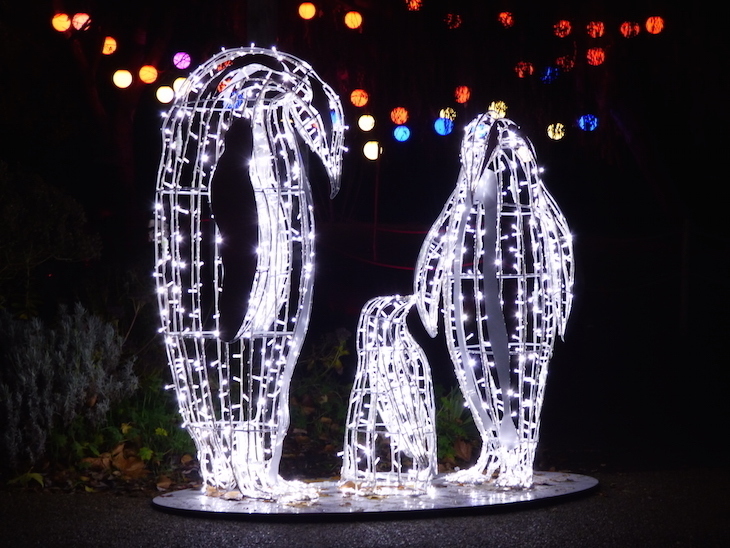 Christmas at London Zoo, various dates until 1 January 2019. Adult tickets £16.50, child tickets £10.50, booking required. 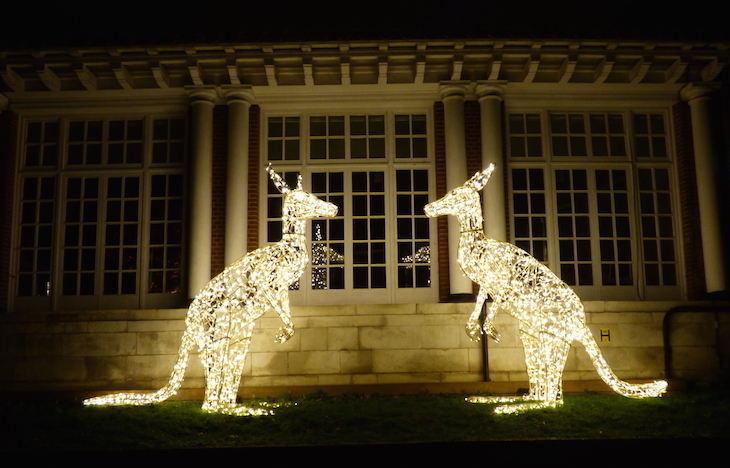 If you love light festivals, you might also be interested in Christmas At Kew and After Dark at Chiswick House. 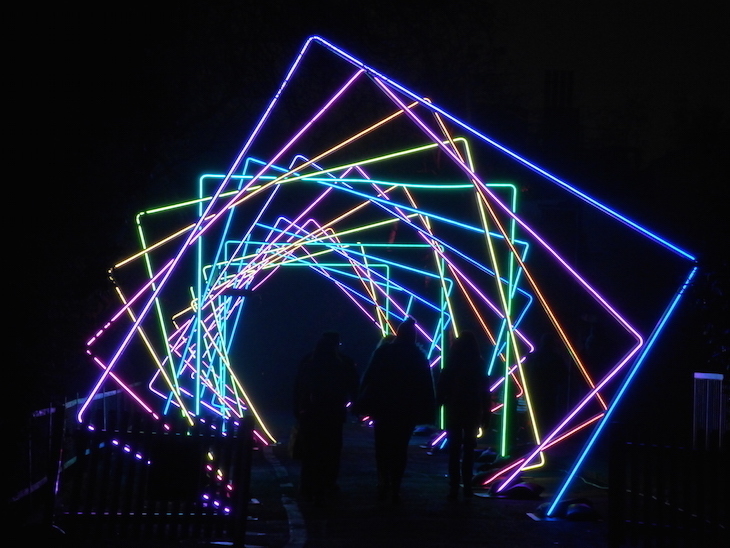 Take a look at the other light festivals in London this winter. What's It Like Being A Zookeeper At London Zoo?